The ABSORB filter is an advanced natural treatment and dispersal system designed specifically for difficult sites in Category 1-3 soils. 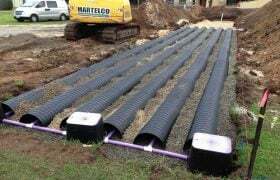 The installation of a system requires site-specific engineering and design. 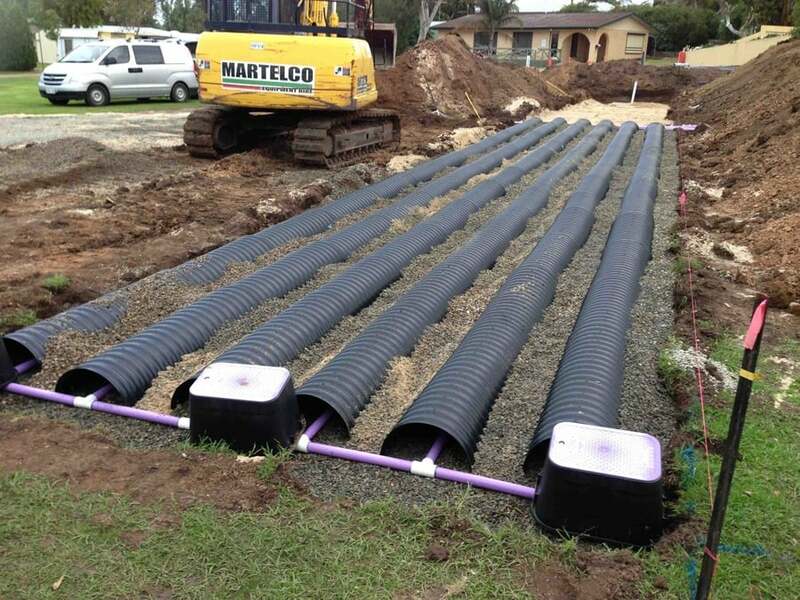 Prior to the ABSORB filter, a septic tank and pump chamber are necessary. The ABSORB has the smallest dispersal footprint of any system. This is because it can achieve higher treatment quality than many treatment systems (such as Aerated Wastewater Treatment System: AWTS). Indeed, sand filters as reported in AS/NZS 1547:2000 (4.2 C5.1) are capable of treatment to 10 mg/L of BOD5 and 10 mg/L of SS against the recognised performance of most proprietary AWTS’s of 20 mg/L of BOD5 and 30 mg/L of SS. Another significant benefit is that turf can be planted over the filter, helping the system blend into the landscape. The ABSORB aerobic bottomless sand filter discharge control bed operates on a natural aeration dynamic from mass exchange of atmospheric oxygen into the soil/filter. The entire system is effectively passive once discharged through the pump. If there is no water produced the system remains in stand-by and is ready for service at any time without adverse performance impacts. This makes the ABSORB an excellent choice for sites with variable flows such as holiday homes or Cellar Doors. No chemicals are used in the system as both the secondary treatment and dispersal train are completely sub-surface. The small footprint in combination with the capacity to handle variable flows and difficult soil types makes the ABSORB a versatile, highly effective treatment and dispersal option. 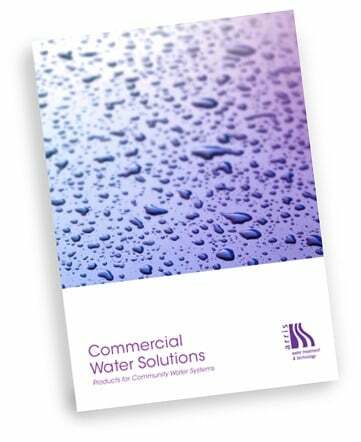 our specialised water technology solutions.